You probably don't love the amount of cleaning time it takes to wash all of your little one's bottles and dishware, but with Munchkin's Suds Up™ Cleaning Sponge and Suction Holder, we’re hoping to add a little LOVE into the routine. A unique shape and pointed tip makes this sponge easy to hold and ideal for scrubbing in those tough-to-reach crevices. Plus, the easy suction holder adheres to your sink and allows for the sponge to stay cleaner and dry faster--preventing mildew buildup and smells! 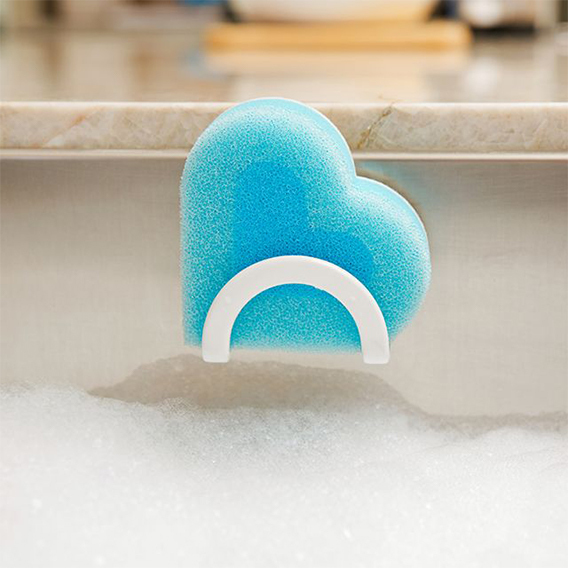 Munchkin's sponge is soft enough to not scratch any surfaces, but cleans like you need it to. Let's hear it for labors of love!